Today, our smartphone has become part of our lifestyle. And as we download more videos and take more pictures, the need to expand storage and backup our content becomes more imperative. For all iOS device (iPhone and iPad) users, you can now haul your content from the digital closet into a digital garage. 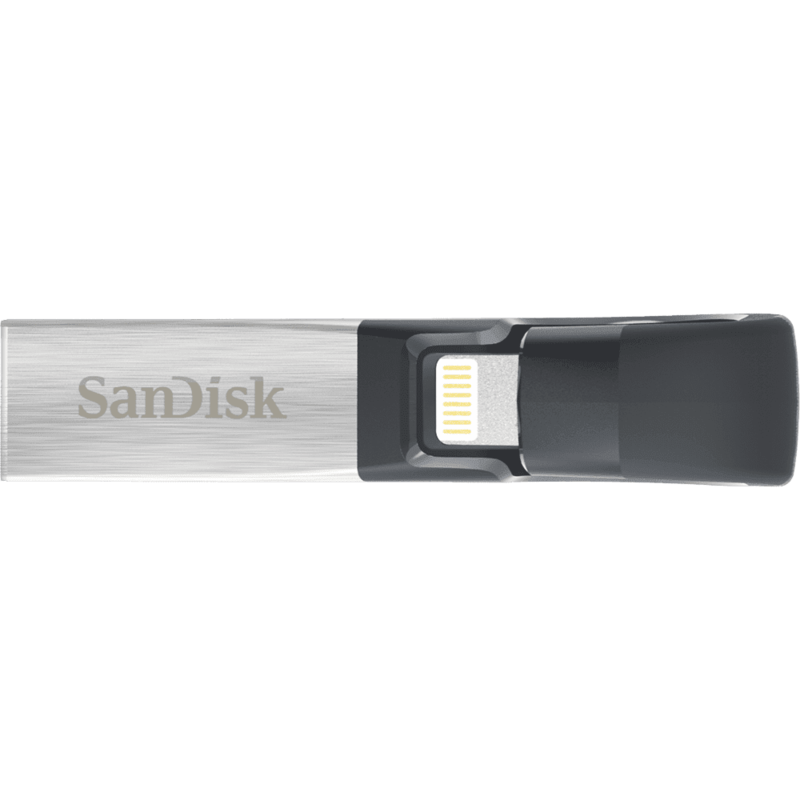 SanDisk's iXpand flash drive wants to be that garage. 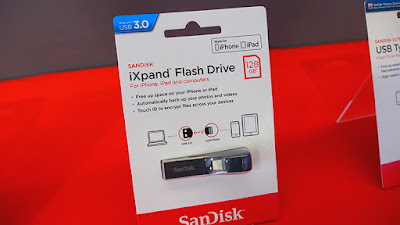 So, we decided to review SanDisk iXpand Flash Drive. Just plug the SanDisk iXpand Flash Drive into the Apple Lightning port and access your files. The first generation device ran 1.4 x 0.5 x 2.5 inches. The new device runs 2.3 x 0.66 x 0.5 inches. The new device weighs only .19 ounces compared to 3.52 ounces for the previous version. Yes, security is becoming a major concern and this new drive supports password protected directory with SanDisk Secure Access Vault. You can share your content with family and friends while keeping sensitive files secure. The flash storage is compatible with iPhone 5 and later, and iPad mini and later, and iPod touch 5th-generation running iOS 8.2 or later. Compatible with Windows and Mac as file sources. Version 4.3 of the software on iOS introduced the ability to stream via Chromecast or Amazon Fire. Facebook backup can target images you are tagged in. Also supports calendar backup and restore. The new drive supports USB 3.0 and Lightning high-speed transfers. The Lightning connector provides super-fast transfers (speeds up to 70MB/s), letting you stream movies and music directly from the drive to your device. The drive is also backward-compatible with USB 2.0. The drive enables you to free up space on your iPhone or iPad quickly. 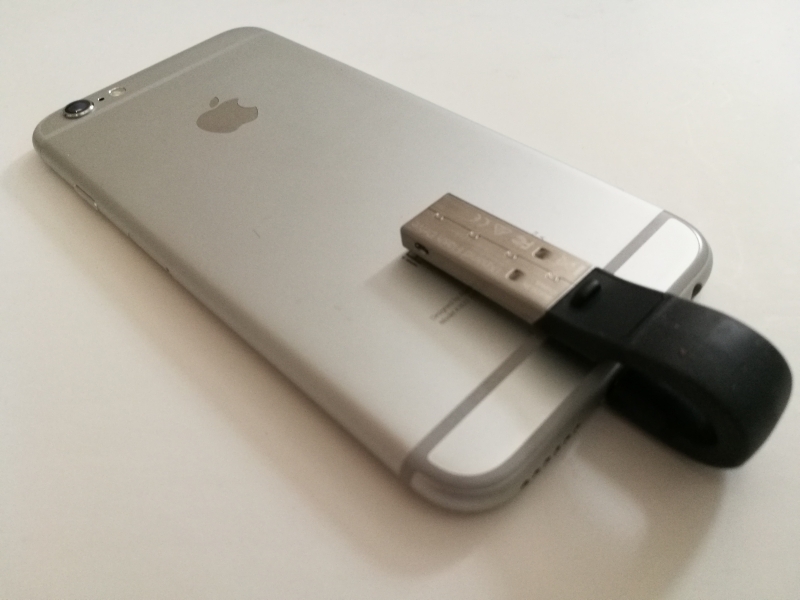 Simply plug in the Lightning connector and you can easily move photos, videos and other files off your device and onto the drive. From there, you can transfer the files onto a Mac computer or PC or store them on the drive. It comes in 256 GB, 128 GB, 64 GB and 32 GB capacity. Offers ample space for music, photos, videos and other files. Reasonable price. Cost around ₦17,000 to get 32 GB and ₦ 27,499 for 64GB. It will help you copy all your content and arrangement chronologically not only by year but by months and days. In fact, you can travel without your laptop as it enables you to work smart from your mobile devices. The app does not support some audio codecs, including DTS or AC3. So the video plays, but there is no sound. If SanDisk can fix this on its app player and whatever else they forgot to support - this would be a great solution for playing videos on the road. However, it plays back a range of video formats including WMV, AVI, MKV, MP4, MOV, FLV, MPG, RMVB, M4V, TS. Supports MP3, AIF, WAV, AIFF, M4A, WMA, AAC, OGG, FLAC audio files. SanDisk iXpand Flash Drive does not have a battery of its own which means it will draw power from your iDevice. Hence, expect shorter battery life. The memory stick is one of the classic drives to have. Super-fast and smaller, hence, it makes you smarter. You don't have to be a geek to use it and it's not so expensive. 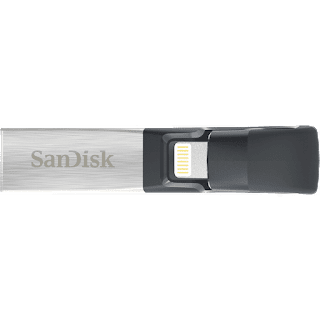 If you value your content and files, a unique drive like SanDisk iXpand is all you need for your Apple devices.